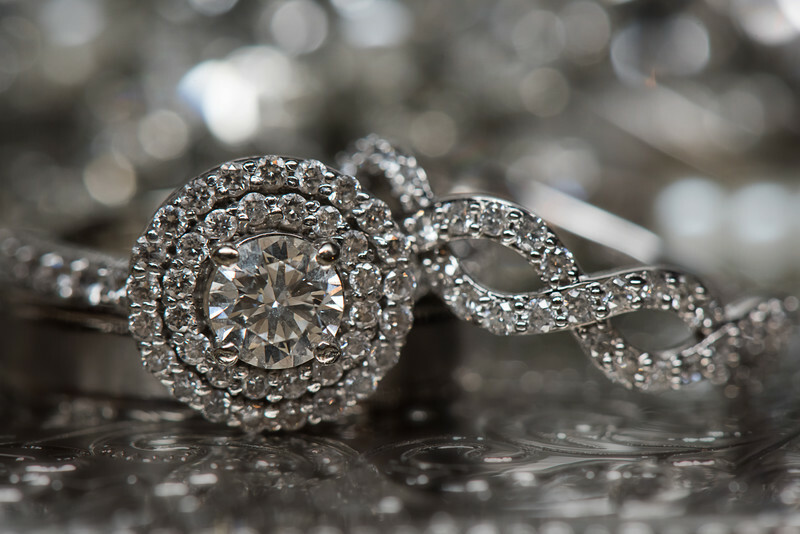 Gorgeous diamond engagement ring, circled by two rows of pave' diamonds. Accompanied by diamond wedding band. The base is the couple's cake server and the sparkles in the background are from the bracelet the bride wore.